Despite some conflicting economic news so far this year, more and more small-cap shopping-center investors - and merchants themselves in some cases - are managing to fight through ongoing distress to secure financing and close property purchases. Small centers featuring convenience retailers, discount "dollar"-type stores, druggists and popular fast-food chains appear to be attracting considerable attention. Indeed it’s the low and high price-point merchants that seem to be generating consumer traffic and in turn investor interest, observes veteran dealmaker Brian Russell, vice president with the Coldwell Banker Commercial Blair Westmac brokerage, which arranges lots of small-cap transactions in the Los Angeles area’s South Bay region. "As often seems to happen when the economy goes in the tank, it’s the dollar-type stores and Nordstrom that are doing well today," Russell elaborates. Of course it helps that the likes of 7-Eleven and Dollar Tree are pursuing aggressive continent-wide expansion campaigns. Nor does it hurt the small-cap CRE cause that several chains are abandoning larger malls and power-type centers while shifting to smaller formats more suited to modest-sized properties. Also the purchase-financing environment continues to improve - with many community and regional banks now showing more favor toward down-and-dirty neighborhood strip centers than was the case a year ago. Along with historically low financing rates available to qualifying borrowers, banks anticipating further consumer-spending recovery are also demonstrating willingness to hold off on foreclosing against distressed small-cap retail properties in favor of extensions and modifications, Russell adds. Russell also chalks up some of the small-cap retail investment activity to the prevailing minuscule interest rates. With the 10-year Treasury yield about as low as it’s ever been, many individuals are become more willing to risk buying small-cap properties as a higher-return (and hard-asset) alternative to debt instruments, Russell relates. And in many cases they’re necessarily competing with some of the newly formed and long-active private REITs, and even certain publicly traded trusts, which have likewise become willing to go after smaller retail properties than has traditionally been the case, Russell continues. Hence competition over centers with sterling-credit tenants can drive cap rates into the 6s and even 5s, he adds. "Some of these deep-pocketed investors will tolerate modest cap rates to get a secure deal," Russell notes. For instance the new Cole Credit Property Trust IV Inc., which has raised more than $4 billion in investor capital, has struck deals to acquire its first dozen properties at an average price of about $5 million each. Decent boosts in consumer spending over the past couple-three calendar quarters are likewise encouraging investment in small-cap retail. However it will take another month or two to determine whether the anemic seasonally-adjusted retail/restaurant spending growth posted in March (0.8 percent over February) and April (0.1 percent over March) is a blip in the see-saw recovery - or perhaps indicate fundamental erosion. The somewhat better news from the Commerce Department is that the April figure was 6.4 percent above the year-earlier level - and that nearly every merchandise category recorded improvement during the latest three months relative to the November-through-January period (with the overall average up 2.0 percent). Predictably the numbers are even better comparing the three months ending Apr. 30 to the year-earlier period - with the overall sales figure up 6.6 percent. As research firm Reis Inc. reports, shopping-center supply-and-demand fundamentals are generally stable as recovery inches along slowly. Net absorption of retail space has been at least slightly positive for three quarters running - with the first three months of 2012 producing just under 3 million feet of net growth. Despite last year’s record-low construction deliveries, however, the overall vacancy rate for non-regional-mall space remains well into double-digits at just under 11 percent - with little real progress made over the past two years (the cyclical low was sub-7 in mid-2005). Rents have likewise generally been flat, with the nation’s average effective rate still hovering a bit over $16.50 a foot. And while ongoing distress among shopping centers and other commercial properties has to give investors pause, the truth is the retail sector is outperforming the rest of the major property-type pack - at least in the conduit-lending arena. Indeed even as Trepp, Inc. reports that overall securitized commercial mortgage delinquencies reached double-digits for the first time ever in May, the retail component is barely 8 percent - compared to 10.3 for office, 12 for hotels, nearly 13 for industrial and 15.2 for apartments. Of course savvy investors see opportunity in distress. One noteworthy recent example: Buffalo stalwart Ellicott Development Co. was the sole bidder for the vacant roughly 80,000-square-foot Pike Street Plaza in Port Jervis, NY. The value-add specialist picked up the asset from note-holder Bank of Dominion for $1.68 million (the previous owner faced more than $4 million in outstanding debt) and will pursue an extensive repositioning endeavor - reportedly including former tenants Rite Aid and Burger King. 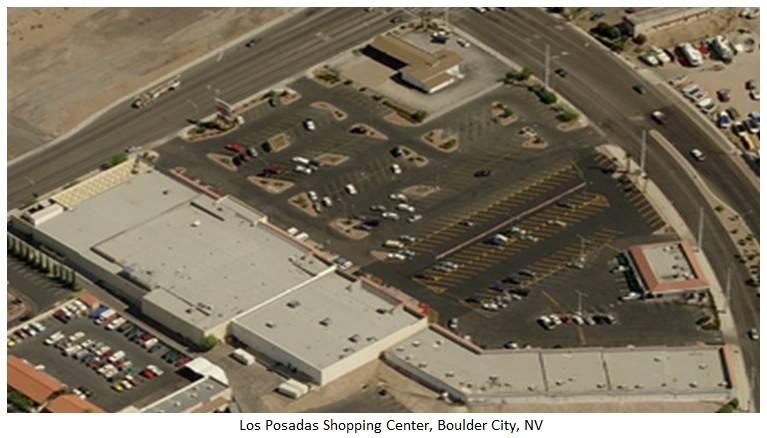 Other opportunistic buyers during the last couple of weeks also closed on distressed properties such as Los Posados Shopping Center in Boulder City, Nev. (for about $2.28 million, or $87 a foot); the in-line shop space at Lancaster Plaza in Lancaster, Cal. (for $6.4 million, or around $120 per foot); and Camino Village Shopping Center in San Diego (for $5.25 million, or $152 a foot). Of course users themselves under some circumstances see great value in acquiring available properties - and we’ve seen several such transactions close in recent weeks. For instance the real estate arm of growing pizza and wing restaurant chain Buffalo Brothers just purchased the 6,468-square-foot former Texas Steakhouse facility on Retail Drive in Wake Forest, NC for $1.35 million ($209 a foot). On high-rent Coronado Island off San Diego, a regional franchisee of the Panera Bread cafe/bakery chain opted to buy the 4,343-square-foot Orange Avenue facility it occupies - for $875 a foot. And up in Blair Westmac’s headquarters town of Long Beach, locals operating as Kanak LLC spent about $3 million ($2 million financed with an SBA loan) to acquire an Arco service station, AM/PM convenience store, laundromat and additional retail space on a 18,748-square-foot lot along Redondo Avenue. The buyers will operate all the site’s businesses. Again, liberalized lending is helping investors close deals - and the retail collateral category in fact saw by far the biggest increase in mortgage originations during the first quarter. According to the Mortgage Bankers Association, retail property lending was up 17 percent over the fourth quarter, with office at 4 percent the only other category seeing any growth. Retail originations for the quarter were also up 109 percent relative to the year-earlier period, the MBA reports. Finance transactions closing over the past month or so illustrate some of the rates and terms available these days for small-cap retail centers. Owners of the 62,000-square-foot Greenburgh Shopping Center along Knollwood Road in Greenburgh, NY, secured $4 million in non-recourse financing from a local bank at 4.5 percent for five years, with an extension option. Owners of a 3,560-square-foot property featuring BP and McDonald’s along Chester Pike in Prospect Park, Penn. secured a $1.5 million cash-out mortgage from a life company that fully amortizes over 15 years. And owners of the 23,000-square-foot, 17-tenant 38th Street Plaza in Phoenix secured $3.1 million in 10-year debt (amortizing over 30) at 75 percent loan-to-value.